In my opinion, everyone should read this book. But, this is especially true for anyone who has gone from rural America - to the city, in order to become college educated. 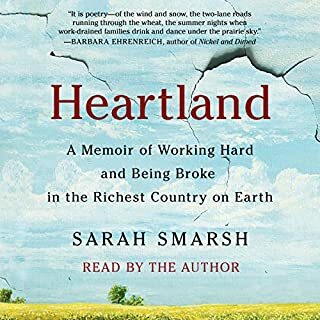 Sarah Smarsh eloquently, yet realistically recounts the plight of the poor, working class, white - girl from rural America. Further, the impacts of poverty on rural America are written about in a down-to-earth style. 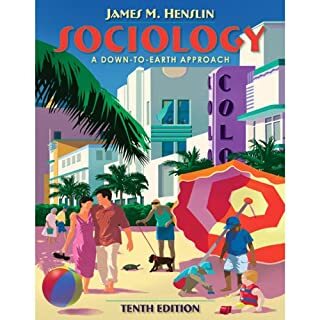 The imagery depicts the depth of social and economic struggles experienced among the working-class poor; a group often ignored in social scientific work. Likewise, the author explains ‘the art of getting married’ among poor women, while simultaneously illuminating how poor children adapt by learning to distinguish a home (internal sense of security - permanent) versus a house (structure - temporary). And finally, Smarsh was spot on in her observations and descriptions of the chronic health issues plaguing the poor. Of particular accuracy, was the prevalence of back/feet problems among poor women. I literally laughed out-loud at the relatableness - even the names seemed similar! Here, two compelling scenes include one in which the author describes driving down a dirt road, during weekends returning home from college. And the other impressionable scene had to do with the intense experience the author goes through in coming to understand what being in a new class means after completing college. In my opinion, anyone who has experienced this profound transformation, will feel a sense of unity and comradeship in hearing this story. 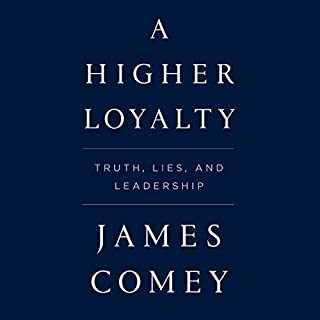 I enjoyed Comey's book and insight very much. I particularly liked how Comey's describes how his own professional experiences shaped his work ethic and influenced his sense of ethical leadership. After reading this book, you definitely walk away with a better understanding about how politics influences, shapes, and strains the criminal justice system. Also, Comey offers a practical perspective in describing the organizational behavior within federal law enforcement that is relatable and refreshing. In terms of format and delivery, I loved the Audible version. Comey narrates his own story and this makes all this difference in the world!the sincerity and fluidness of delivery is greatly enhanced because the author took the time to tell his story - literally. I love this. For all students and speed-readers; I found an adjustment to 1.5 lx's the normal speed to be tolerable, but I enjoyed the narration so much, I choose to read at regular speed. I found this chapter to be a nice review of contemporary issues involving race and society. This is written pre- 'black lives matter' yet provides a thorough historical analysis.